When a row is added in this case from a (Zapier into a Google sheet, the formula in a cell not used by the incoming data is deleted. 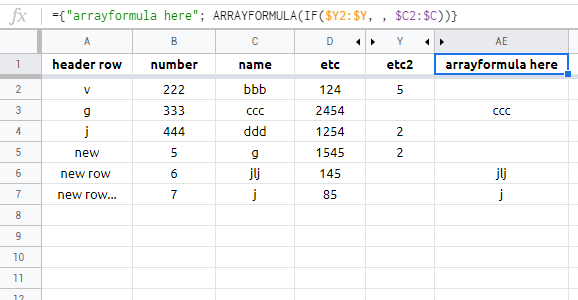 How can I retain/protect the original formula in column AE being =IF( $Y:$Y ,,$C:$C) or automatically update it from the previous row, when the zap inserts a new row? How do I automatically expand a =QUERY when receiving submissions from Google Forms?